I finally picked up the August Juxtapoz magazine that has my Fluevog shoe ad in it! 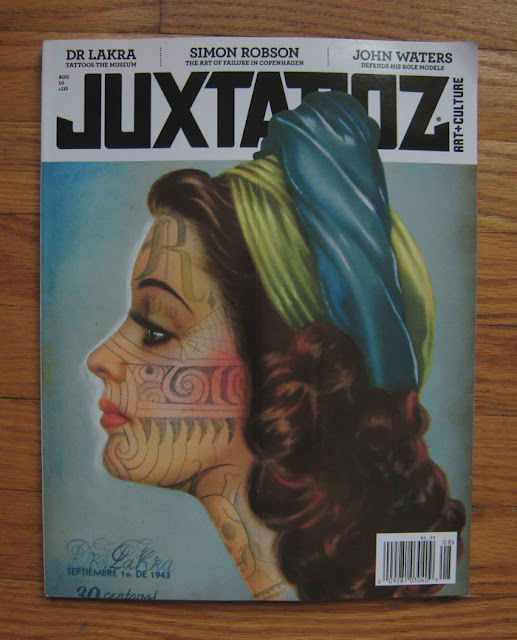 I hope to be in Juxtapoz again in the future, but maybe in an article instead of an ad. 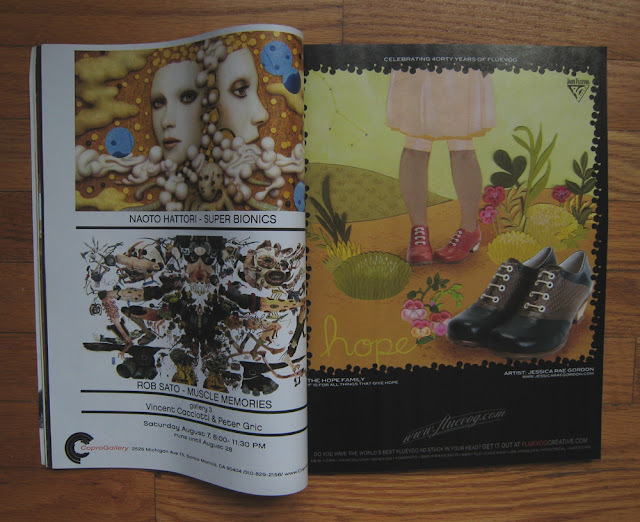 Shawn Clarke's album, Like Birds To Tired To Fly, has been reviewed in Toronto's NOW Magazine this week! He got 4 out of 5 stars and the write up is wonderful. I was also very excited to see the album art was included in the article.